The Northern Shrike was my bird-of-the-day; I haven’t seen one at Montrose in a few years. Maybe this will be a flight year for them. 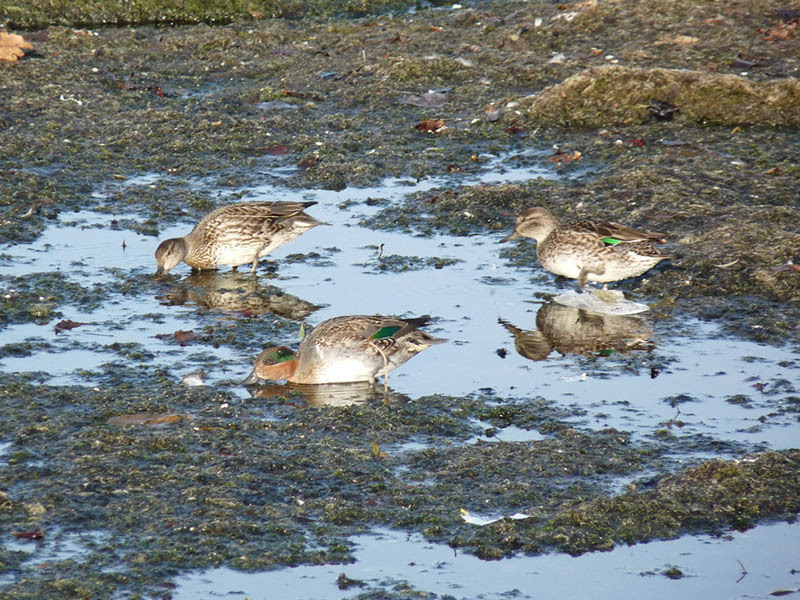 The algae mat continues at the east end of the beach, and it continues to attract shorebirds and ducks. The dominant passerine was Swamp Sparrow. This entry was posted in Fall Bird Reports and tagged Black-throated Blue Warbler, Le Conte's Sparrow, Northern Shrike, Owls, Short-eared Owl, Shrikes, Sparrows, Warblers on October 22, 2017 by rhughes. Black-crowned Night-Heron – 3 immature birds flying around the point. Getting late. 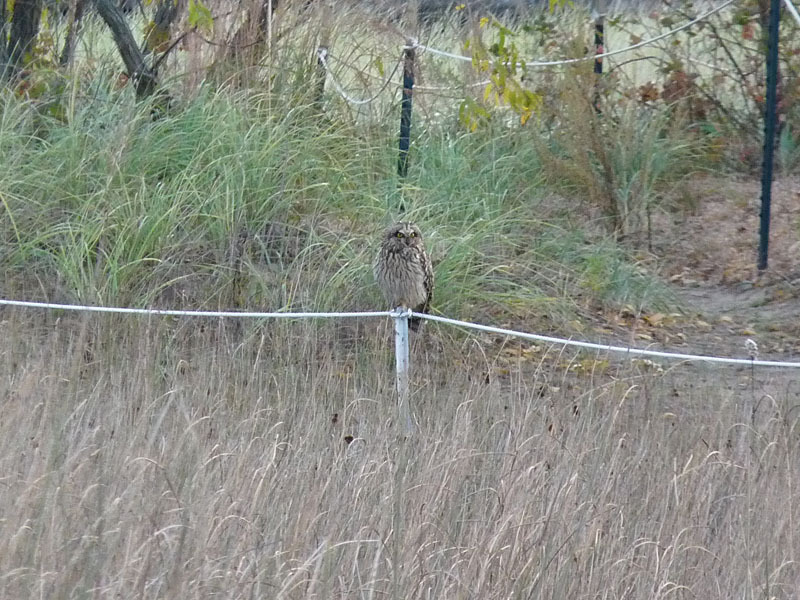 This entry was posted in Fall Bird Reports and tagged Le Conte's Sparrow, Nelson's Sparrow, Owls, Short-eared Owl, Sparrows on October 19, 2017 by rhughes. The yellowlegs and Dunlin were using the large fluddle that has reformed on the beach, and the other shorebirds were feeding in the extensive algae on the beach at the shoreline. Unfortunately, the unleashed dogs running up and down the beach kept flushing most of the shorebirds; by the time I left few shorebirds were left. This entry was posted in Fall Bird Reports and tagged Rails, Sora, Surf Scoter, Virginia Rail, Waterfowl on October 16, 2017 by rhughes.